Keep up with the latest news and events form Dancing Angels Foundation. Memorial and Fundraiser is TOMORROW! Check out some of the AMAZING raffle and auction items that are available. Thank you to everyone for your fantastic support and we can't wait to see you tomorrow! Have you seen our Facebook page lately? Make sure you check us out here: https://www.facebook.com/dancingangelsfoundation/ to see the latest news and posts such as this sweet endorsement from one of our latest scholarship recipients. "My daughter Ariana Mendoza was a recipient of the Dancing Angels Scholarship. Our family is still very grateful for this honor and our little dancer continues to dance in the memory of these two beautiful angels." Dancing Angels Foundation would like to wish all of you a Happy, Healthy New Year!!!! Thank you for your love and support and cheers to 2016!!!!! Hey everyone - here's a FREE way to support the foundation. Please click below and Amazon will donate every time you make a purchase! How cool is that? Gary Sinise, and The Gary Sinise Foundation, contribute so much good to the world. They truly live out their mission to "serve our nation by honoring our defenders, veterans, first responders, their families, and those in need". We are touched by their support, both of Dancing Angels Foundation, and also the first responders who answered the call during the tragedy on March 6, 2012. Please watch this short video about their latest support. Thank you is not enough to express our gratitude for the love they have shown. The Task Force Dagger Foundation is another fantastic foundation that has provided personal support to Louise, and has now made a generous donation to Dancing Angels Foundation! Thank you Keith David and all involved with Task Force Dagger for supporting our mission of Celebrating Life Through Dance. When Dancing Angels began, less than a year ago, we started by partnering with Cumberland Dance Academy in Hope Mills, North Carolina. This is the school that Isabella and Natalia both attended, and Tara - the owner - has been wonderful to work with. Cumberland Dance will always have a prominent place in the Dancing Angels family, and we will continue supporting their dancers. In addition, we are excited to announce that we are expanding beyond this local school. We are currently evaluating candidates at top state and national programs. These programs are much more costly than the local program, but also present opportunities for us to have an even larger positive impact on the world. Much more to come - please contact us if you are interested in more information, and/or taking on a larger role. As always, thank you for being a part of our mission to "Celebrate Life Through Dance". 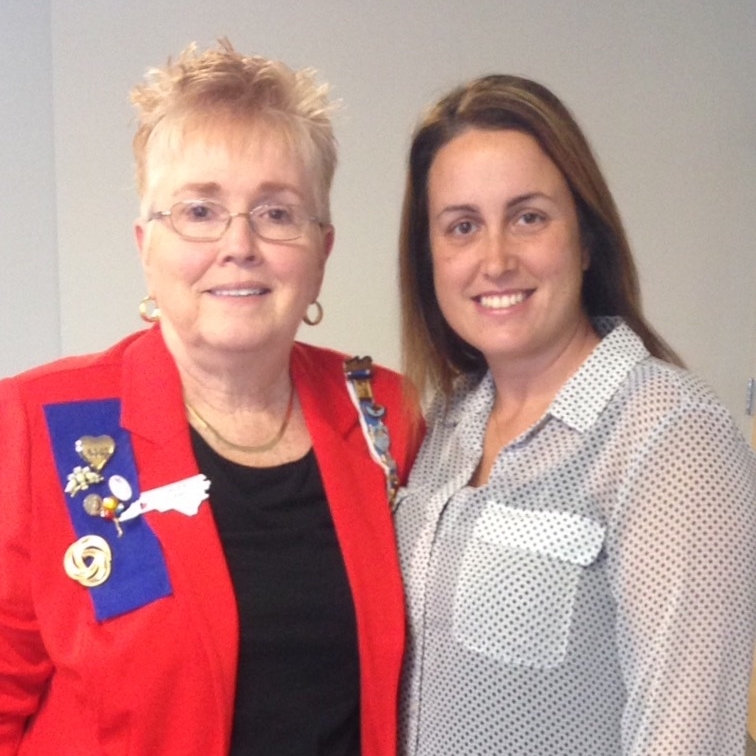 On February 12, 2014 Louise had the honor of attending a meeting of the Brunswick Town Chapter of the Daughters of the American Revolution. The DAR was founded in 1890 and consists of 3000 chapters across the world. She shared her story and how it led her to create the Dancing Angels Foundation. After the presentation she was touched by the many kind words of support and encouragement followed with warm hugs. The Dancing Angels Foundation would also like to thank them for their generous donations to support our cause. We look forward to seeing them again! 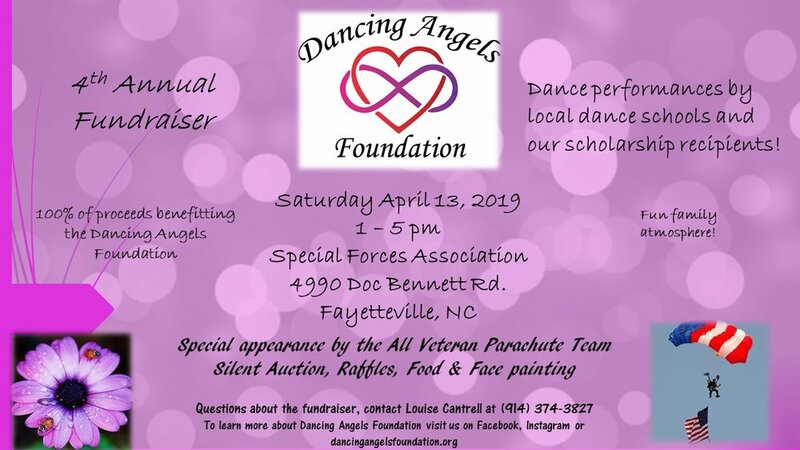 The Green Beret Foundation has been a tremendous supporter of Louise, and of the Dancing Angels Foundation. We are eternally grateful for all they have done. Last year, they featured Louise in their "Everyday Heroes in the Special Forces Community" series. Please take a few moments to watch this video. Please check out the Green Beret Foundation and consider supporting them as well. On July 31, We made the first public presentation of Dancing Angels Foundation at a Maverick 1000 Impact Day. This was a fantastic event held in Washington D.C. in partnership with the Green Beret Foundation. The Mavericks are a dynamic group of entrepreneurs and they had some great advice for Dancing Angels. We were grateful for the opportunity and want to thank the Green Beret Foundation for bringing us in. Louise is pictured presenting to the audience.